The road going up is nicely paved, but quite narrow with some sharp curves and rather steep hills. As you drive up into a wide col with the peak up on your left, the trailhead is near the highest point of this road. 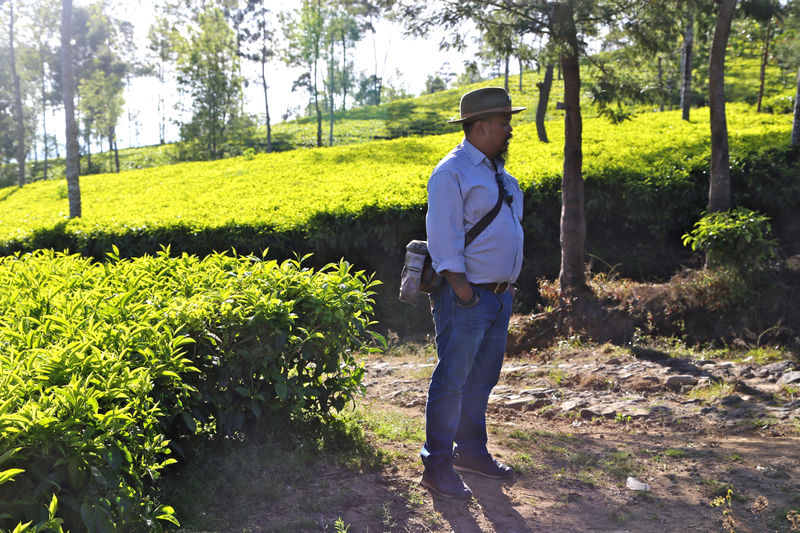 There is a rough road used by the Tea-growers forking off to your left. A fairly new bench has been put into the same location. 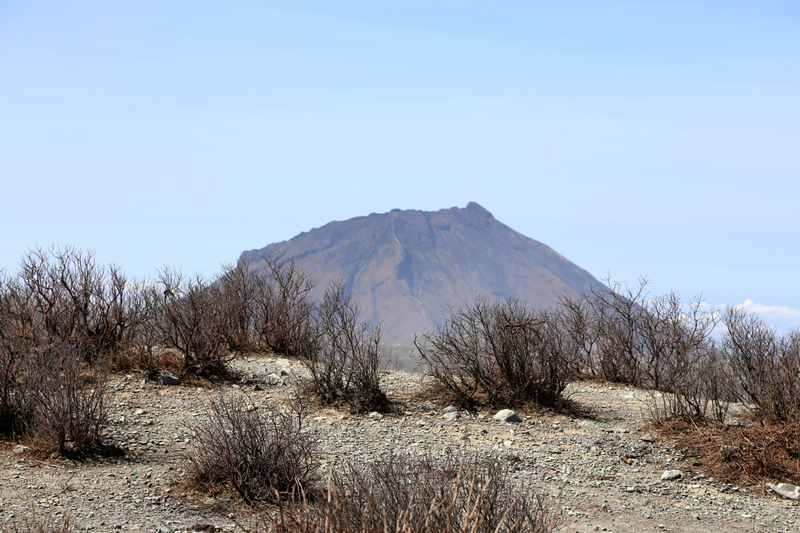 The GPS coordinates are S07.27090, E109.98609, and the elevation is about 1820 meter. There is a small turnout with space for at least one car, just a few meter onwards. 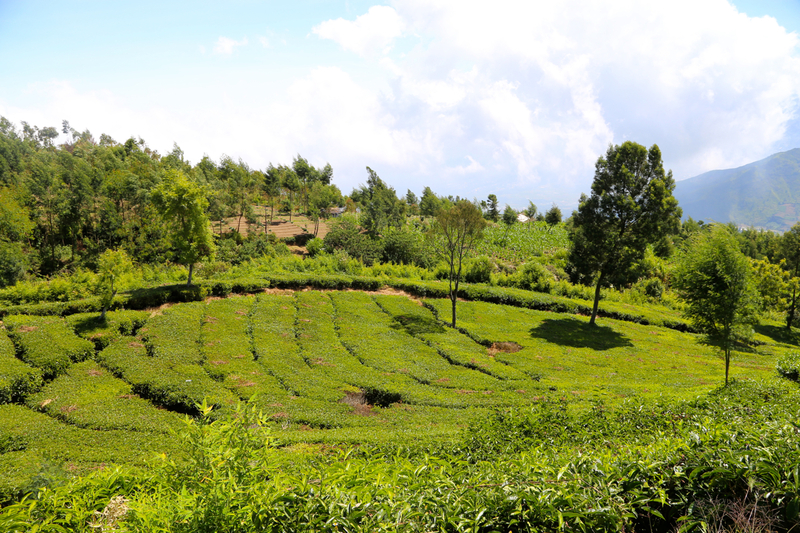 From the trailhead, walk a very short distance up the farmers road, go right at the first branch, then very quickly you will see a trail that heads straight uphill between the tea-plants. Follow this trail uphill, you will pass one station (a building with a roof, but no walls), then a bit higher, you see a similar structure again. 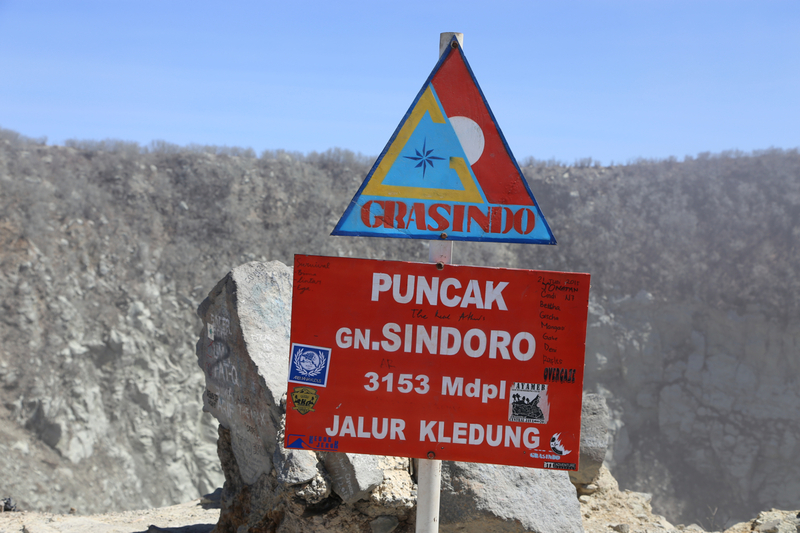 this is the single point to be careful with navigation, do not continue straight uphill, rather go right, then follow a trail that has a sign (it does not say Punjak), uphill through some dense vegetation. 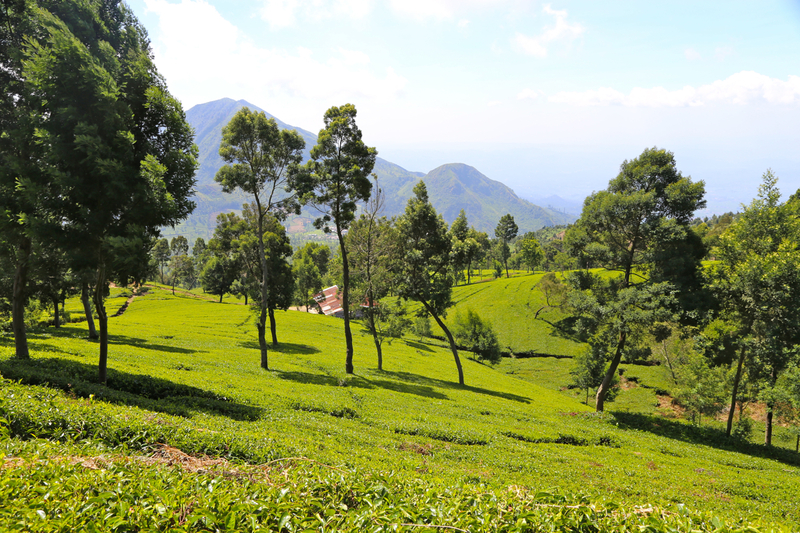 Continue up to a point where the trail crosses a tea-plantation road, this is at location S07.28168, E109.98825, elevation about 2120 meter. Here, there is a trail that runs up the middle, with roads on either side. There may be a small sign saying Punjak here. Do take the trail, from here on there should be no more navigational issues. Always follow the most natural trail that heads uphill. There are several small Punjak signs along the trail, but they do not contribute much. 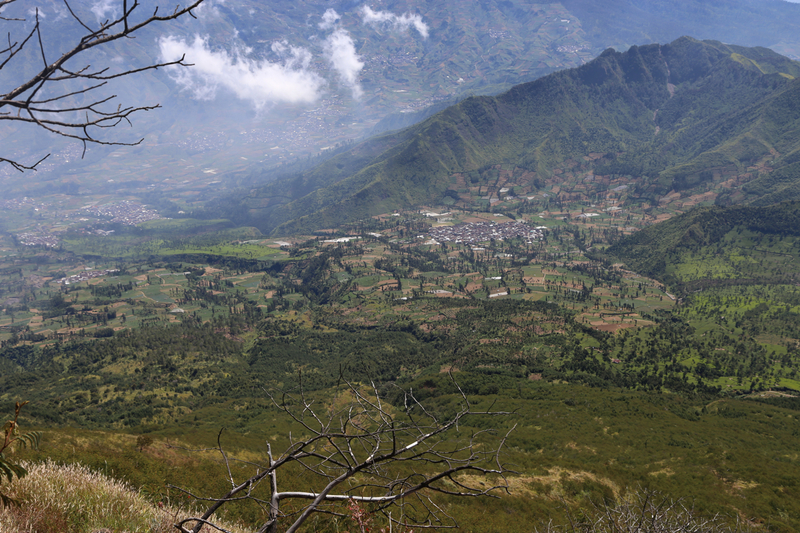 The trail gets slightly steeper as you gain elevation, climbing steadily until you reach a more level area pretty close to the crater. 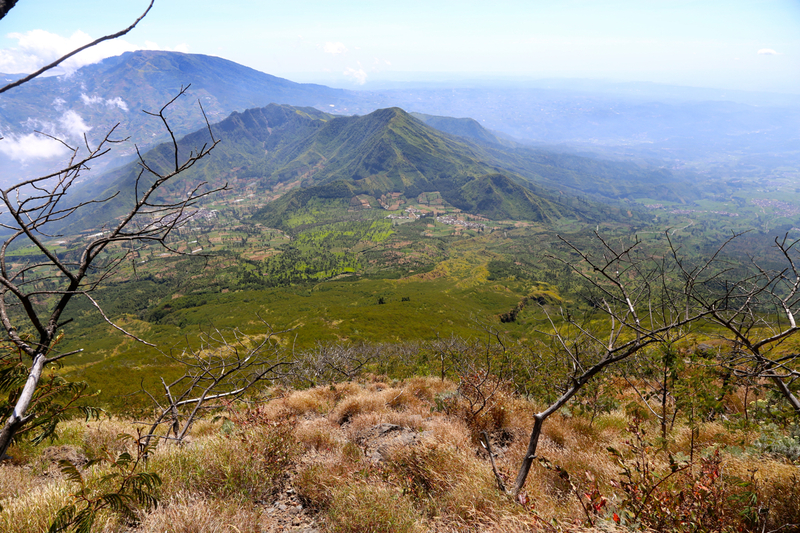 A short section and you have reached the crater rim. It is an easy hike to circle the rim. This volcano emits sulphur gas, so take care, the conditons may obviously change with level of activity as well as the direction of wind etc. We started from the MesaStila resort at 0615. 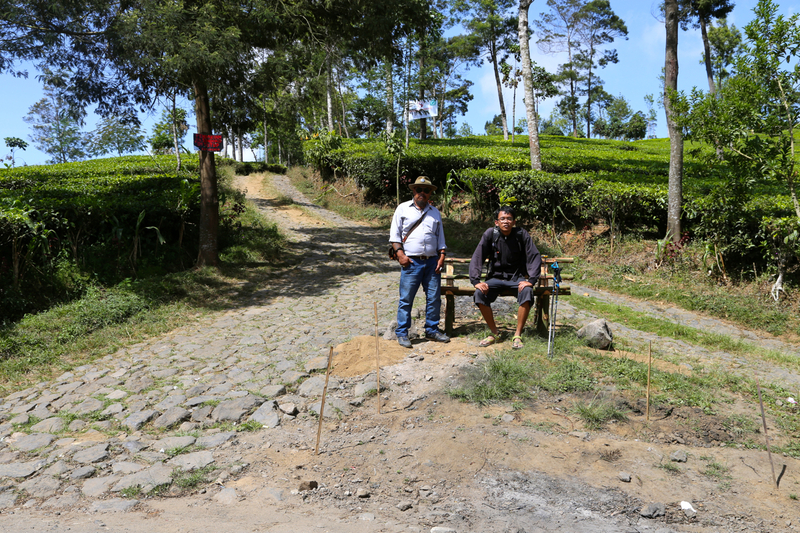 I had succeeded to get a driver, Mr. Susanto and he had taken his son, Andi, age 19, along for the drive. As we were getting close to the trailhead, Andi asked if he could do the hike with me. He looked like a pretty strong boy and I had no reservations, in fact, it would be very nice to have (unexpected) company. 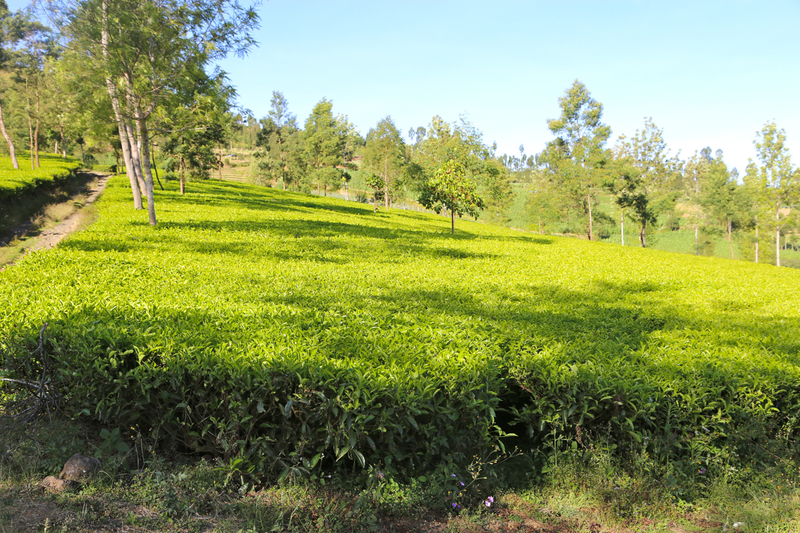 We started out at 0740, walked up across the tea-plantation and got to the second weigh-station (for tea harvesting). There, we continued straight uphill, what turned out to be a mistake. 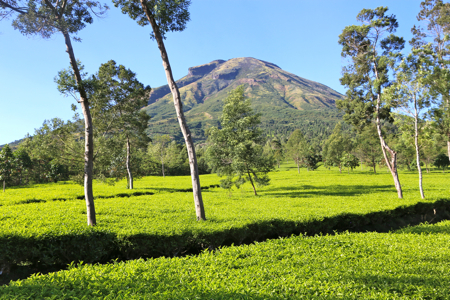 Quite a lot higher, the tea-plants stopped and so did the trail. I realized that we should have forked right way down by the weigh-station. Well, the best option seemed to be to traverse right, following smaller tracks and traces of old trails. This turned quite adventourous, at times there was really only bush and no visible trail to follow. The time was already close to 0840 when we finally recovered the proper trail. 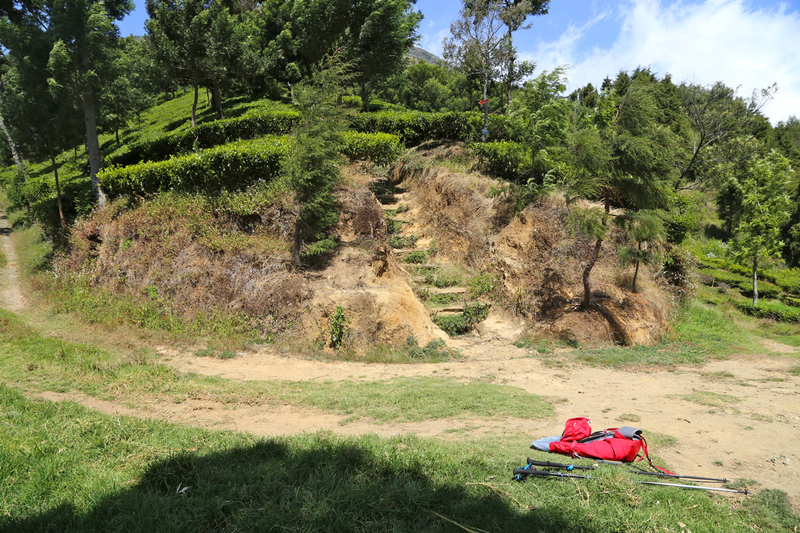 The good news was that we had climbed about 600 meter vertical despite this trouble. As I continued uphill, it became clear that the speed should be reduced in order for Andi to keep up and have a good experience. We really had plenty of time, so a somewhat more leisurely walk was perfectly in order. 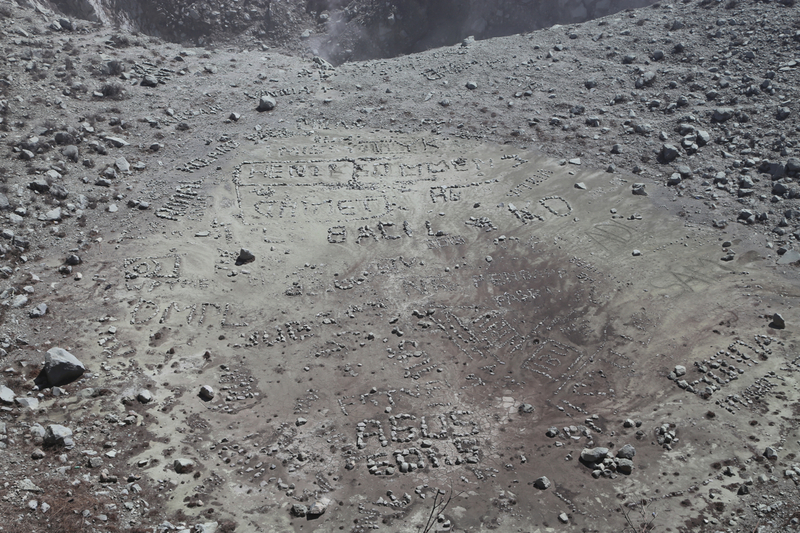 I still arrived at the crater rim by 1010, so 2.5 hours up, not at all bad for more than 1300 meter of ascent. 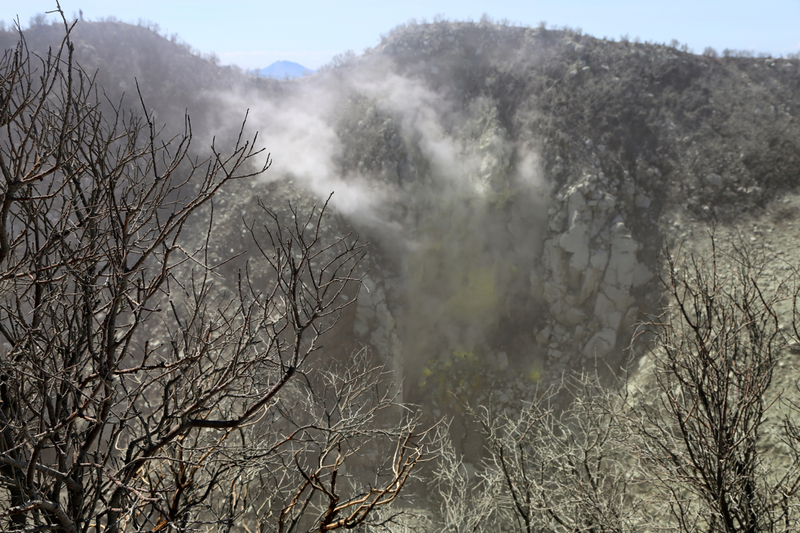 The crater was roaring and big sulphur smoke was coming up. 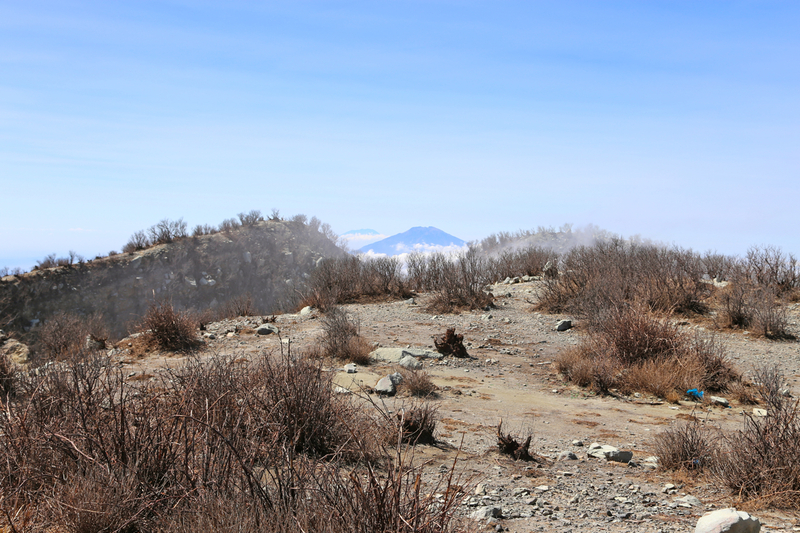 Fortunately, we had a slight breeze that kept the sulphur away from the crater rim itself. There were several bumps around this small crater, difficult to say which one was higher. 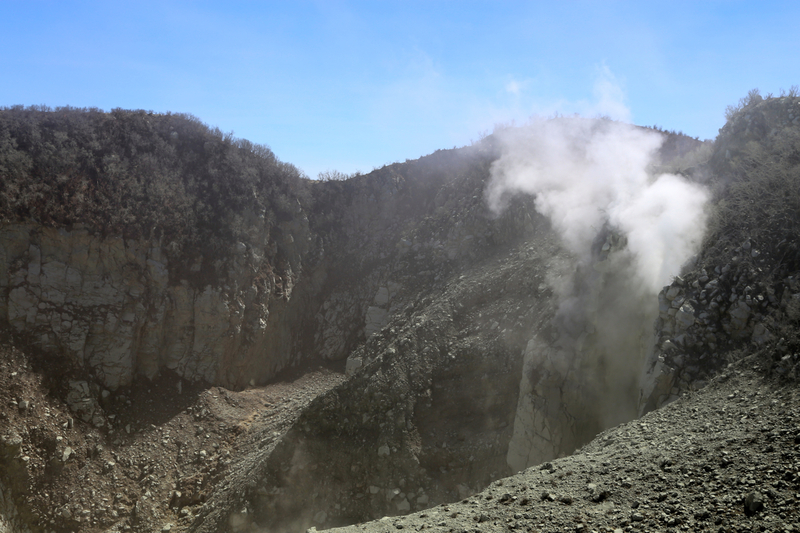 The crater was roaring and sulphur gas came out in good quantities, not a dead volcano. However, it was an easy matter to walk around, thus visiting all possible candidates. 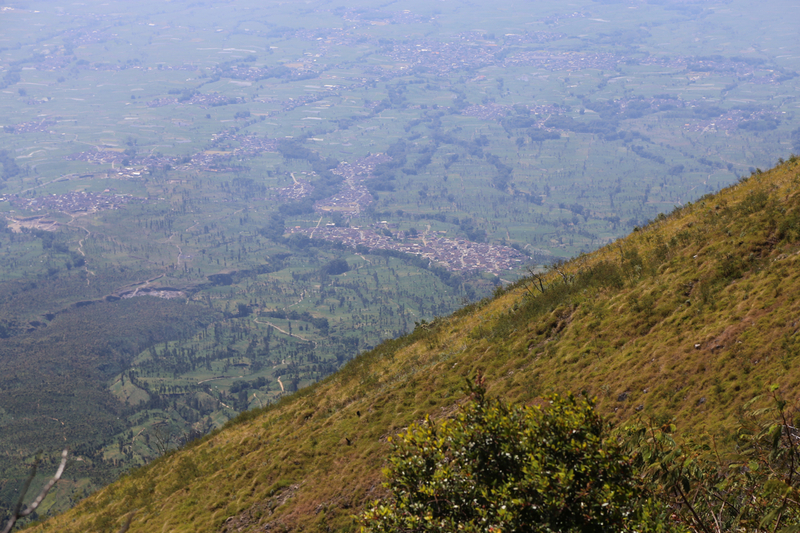 I also passed the trail coming up from near the saddle towards Sumbing. Next, we rested a bit downslope from the rim itself. Thus, we spent 50 minutes on top, before starting our descent at 1100. The walk back down was nice, with very good views all around. We were back by the main road and the car very shortly before 1300. Many thanks are due to Andi for good company. This was his first big mountain, I do hope that he will do some more in the future! 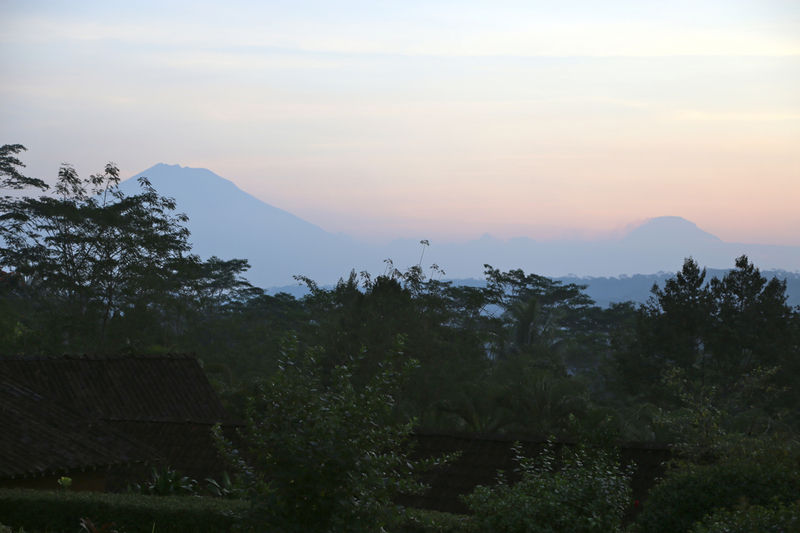 Sunset at MesaStila, Sumbing left, Sindoro right. 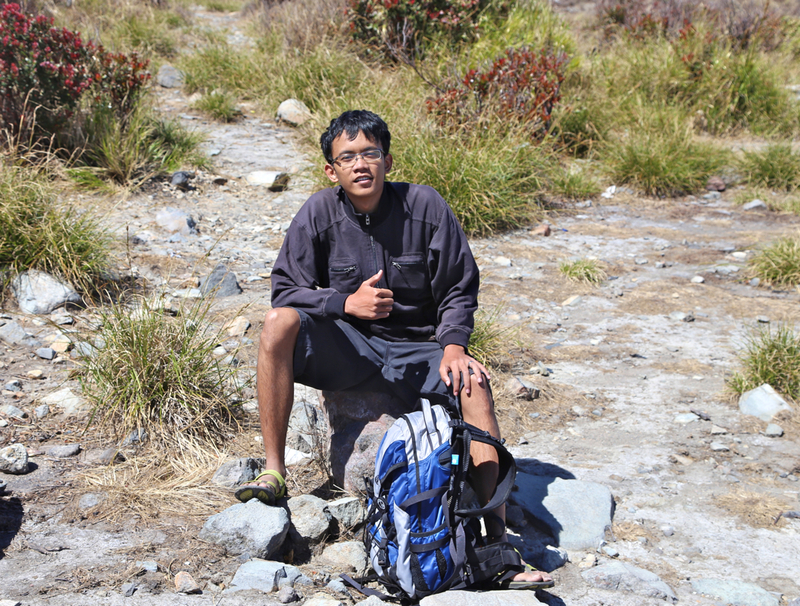 Mr. Susanto, near the trailhead. Gunung Sumbing, as seen from Sindoro. 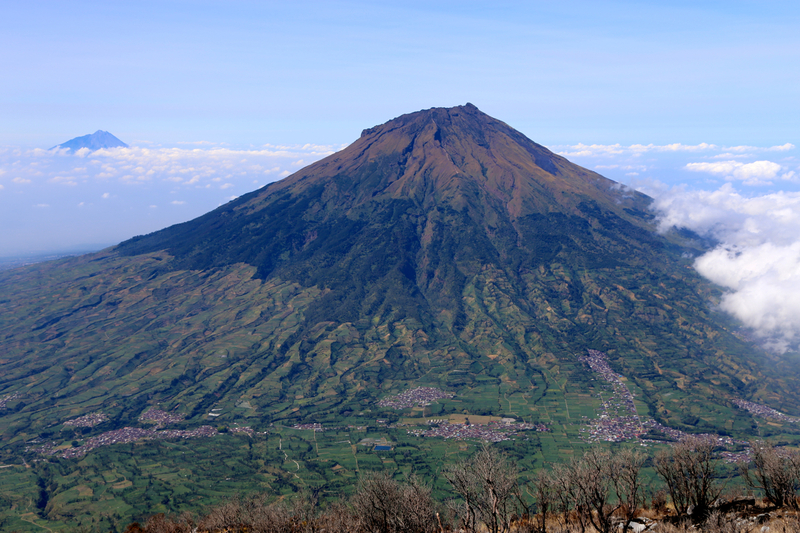 Gunung Slamet, as seen from Sindoro. 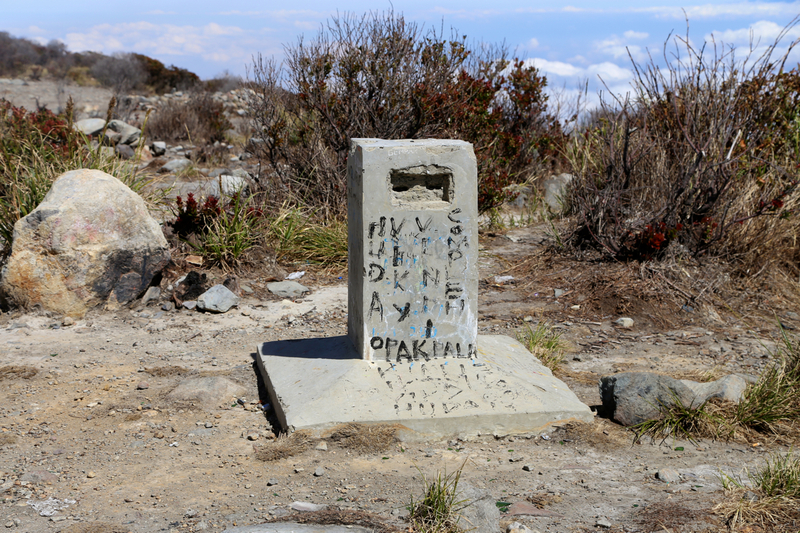 Summit marker, quite some way from the highest point.